At a minimum, a water filter system will remove sediments, chlorine and its by-products, and volatile organic compounds. Most carbon-based water filter systems will also improve the taste and odour of tap water. More advanced filter models will also remove heavy metals, bacteria, hormones, toxins, pesticides, industrial solvents, fluoride, and many other potentially dangerous or unpleasant contaminants. 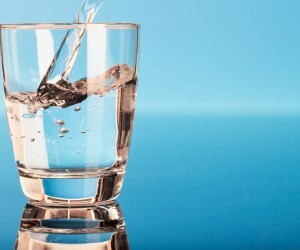 While not all tap water contaminants are dangerous, long-term exposure – and in some cases short-term exposure – to some of them can adversely impact your health. Chlorine, fluoride, heavy metals, bacteria, viruses, cysts are just some examples of potentially dangerous contaminants. While bottled water is one of the most convenient ways to keep yourself hydrated anywhere and anytime, filtered water on tap is another convenient way to get access to drinking water on tap. With fewer bottled water produced, fewer plastic waste is created. The bottled water industry is among the top plastic pollutants in the world. Overall, filtered water is less of a burden to the environment. Bottled water is expensive, and some bottled water brands are way too expensive for the average budget. Banking on the idea that they are sourced from pristine springs, the price for some bottled water brands is off the chart. Compared to the price of bottled water, which includes manufacturing costs, shipment costs associated with its distribution, and marketing costs to promote the product, filtered water is extremely cheap. Yes, bottled water is tested, but the testing standards are laxer than those imposed for tap water. With a water filter, you can target the contaminants you want to remove from tap water, and polish the water to your taste. You want alkaline water on tap? A water filter allows you to get that, and more! If you decide to install a whole house water filter or a shower filter, you can bathe in chlorine-free water that is gentle on your hair and skin. Some water filters or shower filters will also reduce lime-scale, which is especially welcomed by those living in areas with hard water. Point-of-use water filters filter water only at the single point of use they are installed at. Examples of POU filters include countertop water filters, undersink water filters, fridge filters, shower filters, etc. Point-of-entry water filters filter water at its point of entry, that is, before water gets distributed to every water outlet in your home. Examples of POE water filters include whole house water filters and ultraviolet water filters. Undersink water filters are the most popular POU filters for residential use. As opposed to countertop filters, undersink filters are tucked away in your kitchen cabinet, filtering cold water. These filters use a special filter tap or 3-way tap to dispense filtered water. Both undersink and countertop filters can be single-stage or multi-stage, depending on the number of water filter cartridges that make up the system. Whole house water filters are usually multi-stage, and these filters deliver filtered water at every water outlet in your home.